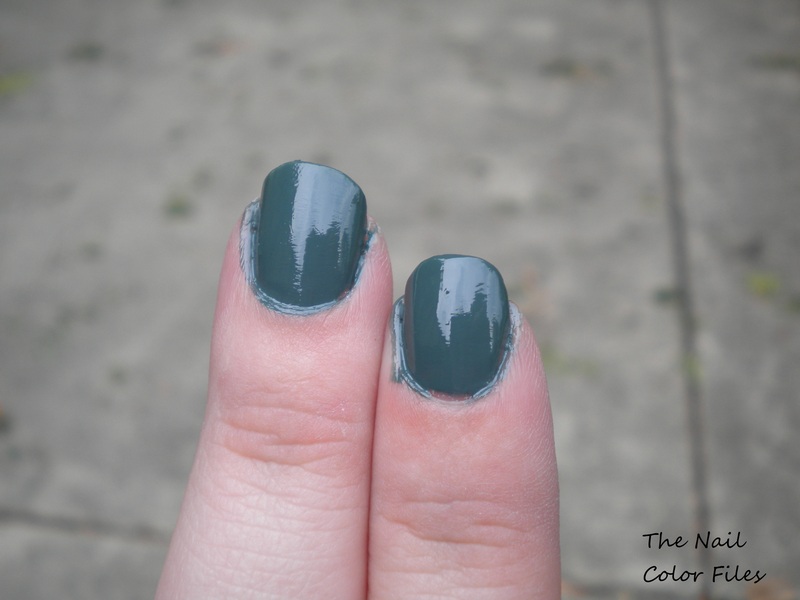 I’m doing my first ever Reader’s Choice mani! There are so many polishes that I want to wear, so perhaps it will be easier if someone else chooses for me. This poll will stay open for a week, and you may vote one time. In case of a tie…well, I’ll figure that out if it happens. Here are your choices: China Glaze – Foie Gras, China Glaze – Kinetic Candy, Sinful Colors – Ocean Side. Which will you choose? I can now confirm the official name is Leap Flog. I don’t plan on announcing many new polishes hitting the market on this blog, unless I actually get something from that collection. I had to blog about this though. Sinful Colors new collection, presumably for fall. I’m not really sure what the name of this new color is supposed to be. G, from Nouveau Cheap (if you don’t keep up with this blog, you’re missing out!) 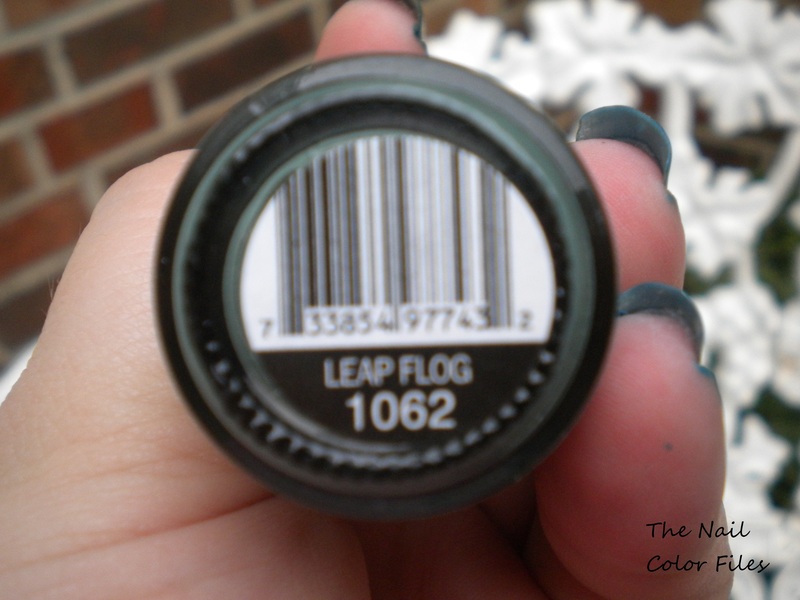 tweeted that the color was called Leap Frog. The label on the bottle I found today says Leap Flog. If anyone knows what the name really is, please post it in the comments on the side. I really shouldn’t be buying anymore nail polishes now, but I can’t pass up Sinful Colors. It’s inexpensive, and I’ve not had many problems with this brand. I went out today to see if I could find this new color since no one has said anything about it as far as Google is concerned. The newest collection from Sinful is called ‘Study In Style’. The display just hit my local Walgreens and hadn’t been officially put out yet. I was told by the wonderful woman helping me that she just got it yesterday, so it should start popping up in the next week or so. The only color I’d not heard of in this collection besides the one I went looking for was Ocean Side. I can post swatches if someone would like to see it. It’s the blue bottle, and has an older number of 962. All newer colors are numbered in the 1000s. If you didn’t pick up Winterberry the last time it was out, you can pick it up from this collection as well. I missed it the first time around, so I’m glad it’s been put back out. I absolutely love this Leap Frog/Flog. It went on opaque in two coats, and has a smooth and shiny finish. In the bottle it looks like a dusty olive green color. 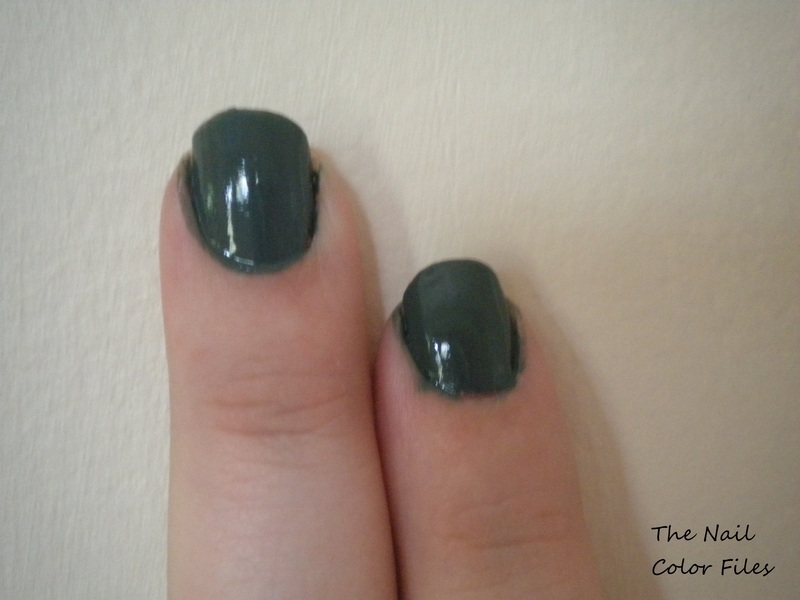 I didn’t use a top coat in these pictures.